charmcityartsmaven: Volunteer Applications are Live for MdFF 2018! 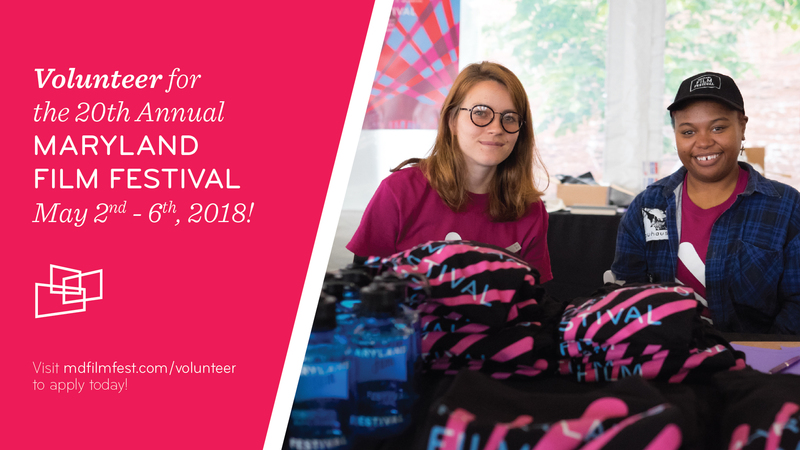 Volunteer Applications are Live for MdFF 2018! Volunteer for the 20th Annual Maryland Film Festival! Volunteer Applications are now LIVE for the 2018 Maryland Film Festival! Visit the Volunteer Page of our website for more information on the many opportunities to serve the 20th annual festival, taking place in and around the Station North Arts and Entertainment District this May. Come out and support our growing community of film-lovers and filmmakers who visit the festival every year!